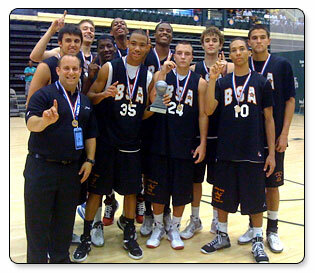 BSA 17U Wins National Championship! Following a trip to the Final Four in the Disney Super Showcase at Disney’s Wide World of Sports in Orlando, Florida, the Basketball Stars of America 17U Nike Elite Team, featuring many of the top basketball players in Western Pennsylvania, aimed at bringing home a championship at the AAU Nationals which began on July 27th in Orlando. In order to do this, the team would have to dig in and win a lot of games against top competition from all over the United States. On Saturday, August 1st, the team was celebrating a National Classic Championship victory on a buzzer beating jump shot by Barry Smith. The Basketball Stars Team, coached by BSA Director Daryn Freedman, a former NBA and Division 1 College Coach, went on a 7 game winning streak at the Nationals which included wins over Team Illinois, the Ocala Florida Wildcats, the Baltimore Stars (who feature Will Barton, considered to be the top Shooting Guard in the USA by Scout.com), the WMS Florida Ballers, Texas Select, Florida Team Speights, and the Louisiana Shockaz. The team featured 11 players from Western Pennsylvania and Eastern Ohio, all who played a role. “The biggest reason we were able to go so far and win so many games is because of the depth of the team and the fact that each player stepped up in different games,” said Coach Freedman. In the Championship game, Evan Pierce, a 6’3 guard from Mt. Lebanon HS, scored over 30 points. Barry Smith, a 6’6 forward from Kiski School, had a double-double in the Championship, which included the game-winning shot, a turnaround jumper at the buzzer which hit the rim 4 times and bounced in. Both players also picked up Division 1 Scholarship offers this summer. Throughout the tournament, others who starred for the Basketball Stars included Tom Droney, a 6’6 guard from Sewickley Academy, who is committed to Davidson University, Nate Perry, a 6’3 guard from Hempfield HS, who is committed to Appalachian State University, Deion Turman, a 6’9 center from Mt. 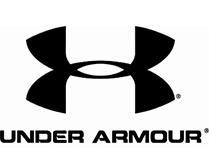 Lebanon HS, Deverin Muff, a 6’9 forward from Strongsville HS (Ohio), Jerome Barnes, a 6’4 guard from Shady Side Academy, Billy Luther, a 6’8 forward from Hampton HS, Tim Donegan, a 6’7 forward from Hampton HS, Grant Latus, a 6’8 center from Mt. Lebanon HS and Peter Schramm, a 6’8 center from Sewickley Academy.